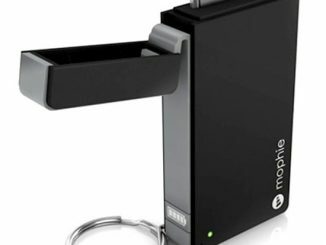 The Mophie Powerstand for iPad is a sleek stand that allows you to rotate your iPad up to a hundred and eighty degrees because it’s flexible (or actually, equipped with a multi-axis) like that. 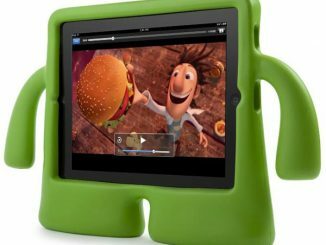 If I had to choose an iPad stand right here, right now, it would definitely a battle between this case and the iGuy Standing iPad Cover. 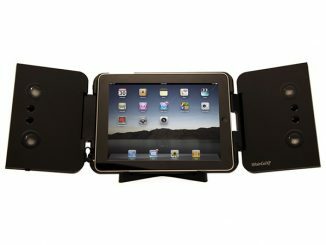 But the Mophie Powerstand for iPad has one more feature that the iGuy doesn’t have. The reason why it’s called a Powerstand is because it can also charge up your device while you use it and prop it up. 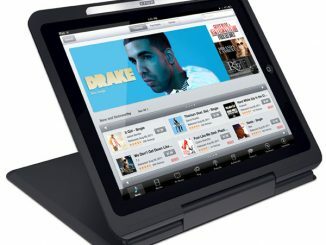 And when you’re done using your tablet, just fold it up and store. 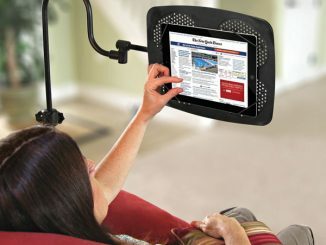 Stunningly engineered, this sleek aluminium tablet-grabber features a multi-axis hinge allowing you to rotate your iPad 180 degrees while adjusting to a variety of viewing/typing angles. 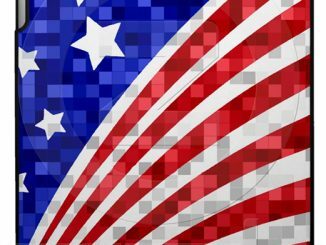 It makes swishing away, Minority Report-style, easier than ever. But why is it called a Powerstand? 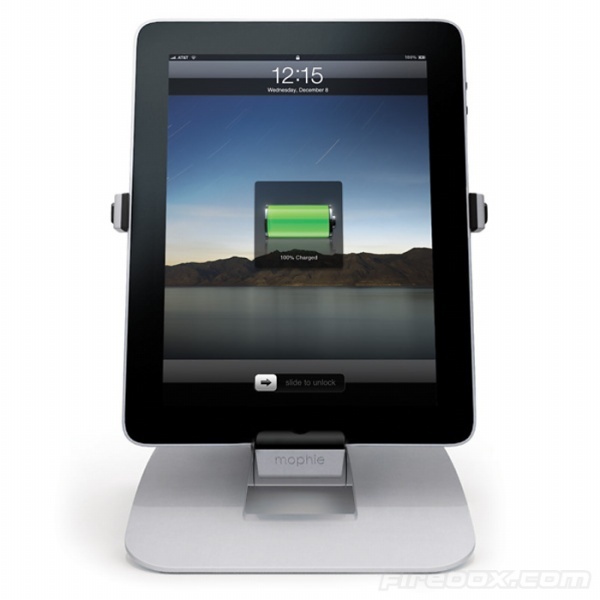 Simple, it charges and syncs your iPad in situ via an integrated mains charger and included USB cable. 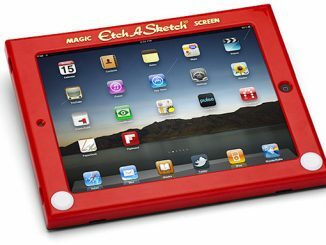 It even features an LED status indicator and folds flat for travel purposes. 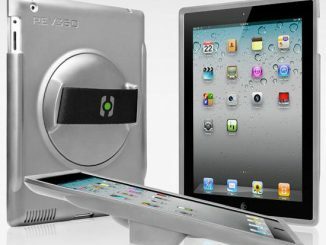 The Mophie Powerstand for iPad should be available soon at Firebox. To learn more go to Morphie. 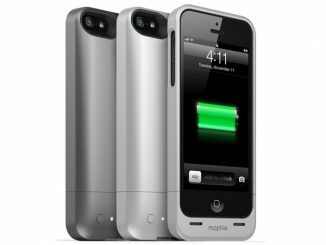 Love the brand mophie! 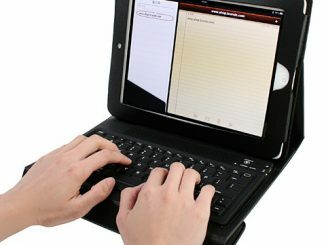 Really nice looks and good price. 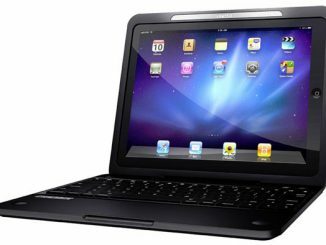 Just bought the Mophie Workbook iPad 2 White. Now i am interested in the powerstand 😀 !! 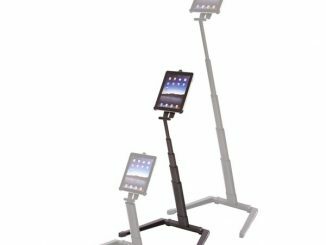 Are there multiple colors of the Powerstand? Nope, only one color at this moment.